Independent Advisors are typically former admissions officers from top US schools . NM ​is a graduate of Georgetown University as well as Harvard Divinity School where he was the recipient of the Billings Prize for inspiring behavioral change. He has over ten years of experience as an educator and performs many of his own workshops, talks and consultations on the practice of mindfulness, a concept he also works into his advising by helping students align mindfulness practices into their pursuits while ensuring a strong application. DF ​is the former Director of Admissions for Columbia University, where she also received both her MBA and M.Ed! She has over 30 years of experience as an educational consultant and is constantly modifying her strategies to reflect the changing landscape of higher education. She also gives talks on the college application process to audiences from around the world, including to Boston Roundtable's own traveling camps! Junior Advisors are current students or recent graduates of top US schools whose areas of academic focus are matched with those of our students. CT is a computer science expert in California. 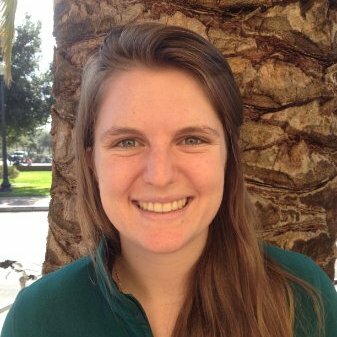 She received both her Bachelors and Masters in Computer Science from Stanford University, centering her studies on how to make computer programming more accessible to people with autism. Her college entrance essay was published in the 50 Successful Stanford Application Essays anthology. In 2015, CT studied abroad in China as a Fulbright-Hays scholar and participated in CCTV-2's Dialogue TV show. JN is a current economics graduate student at Princeton University. She attended international school in Singapore before completing her collegiate education in the states, giving her a very similar experience to that of our students and allowing her to impart meaningful and relevant knowledge. Outside of school, her interests include music, and the German language. DP ​is a STEM expert with extensive academic and professional experience in the field! He obtained his undergrad degree in biomedical engineering from Brown University and currently studies biomechanics at Northeastern University. Some other interesting facts about DP are that he is fluent in American Sign Language and crafts his own guitars! BB is a current senior at the University of Pennsylvania majoring in international relations and history. She is interested in East Asian diplomacy and foreign policy. She also spent the first half of 2018 studying, working, and traveling throughout China while taking classes at East China Normal University. In her free time, she enjoys cooking, traveling, and working out. TM is a current junior studying English and Comparative Literature at Cornell University. In high school he participated in Speech and Debate and participated in the National Poetry Series Open Competition. Before enrolling at Cornell, he spent a year abroad in Indonesia to enrich his writing and global-minded mindset. In his free time he enjoys bike riding and music. Our advising team is constantly-growing and we are always looking for more hands to help us with students. Acting as an advisor is a great way to gain one-on-one experience working with international students, as well as the perfect chance to impart your wisdom on the college application process onto capable students! Check out our "Become an Advisor" page to view job descriptions and see if an advisor role is right for you!